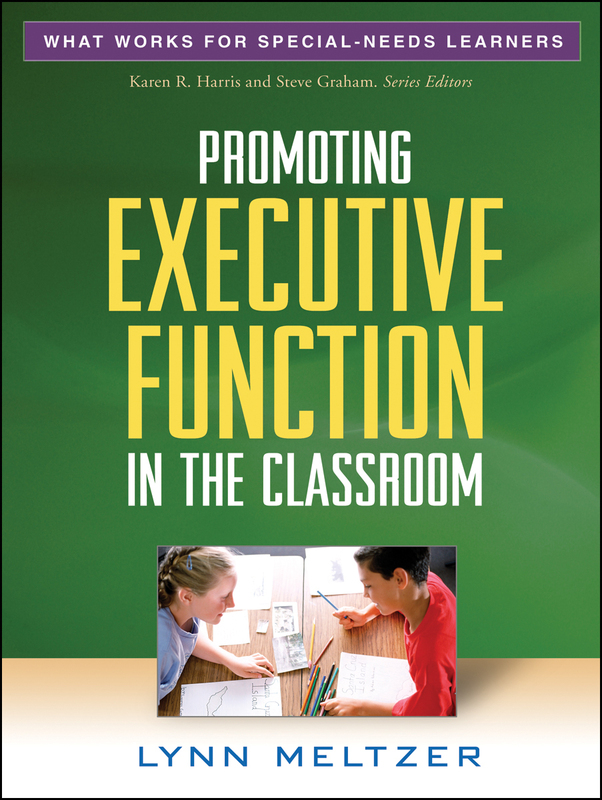 Accessible and practical, this book helps teachers incorporate executive function processes—such as planning, organizing, prioritizing, and self-checking—into the classroom curriculum. Chapters provide effective strategies for optimizing what K–12 students learn by improving how they learn. Noted authority Lynn Meltzer and her research associates present a wealth of easy-to-implement assessment tools, teaching techniques and activities, and planning aids. Featuring numerous whole-class ideas and suggestions, the book also shows how to differentiate instruction for students with learning or attention difficulties. Case examples illustrate individualized teaching strategies and classroom accommodations. More than a dozen reproducibles are included; the large-size format facilitates photocopying and day-to-day reference. Purchasers also get access to a Web page where they can download and print the reproducible materials. 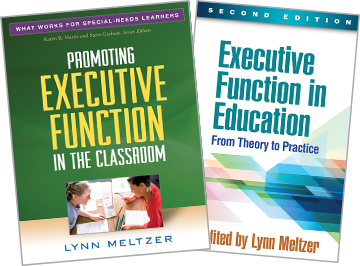 See also Meltzer's edited volume, Executive Function in Education, Second Edition, which presents state-of-the-art knowledge on the role of EF in learning across the content areas.